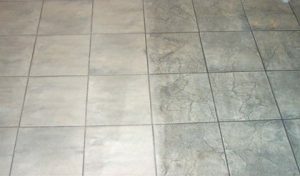 Tile cleaning Little Elm and the benefits. Many homeowners use tiles in their homes because tiles are an excellent way to add sophisticated touch in almost any part of the home without spending a small fortune. But, in order to keep their beautiful appearance and functionality, tiles must be cleaned and maintained on a regular basis. Let’s be clear, tile cleaning is not a simple task. As a matter of fact, it is often long, boring and burdensome activity. 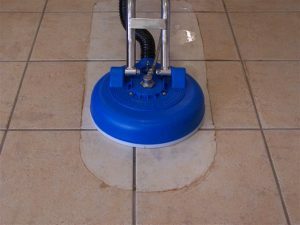 In addition, people often get confused when they want to use the right technique for tile cleaning. So, it is the best idea to clean the tiles in the right way and carefully, so they can keep their attractive appearance, shine and durability. Porcelain, slate, marble, granite, travertine and non-porcelain tiles are some of the many types of tiles used today. 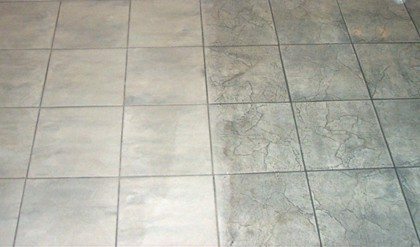 There is a different tile cleaning approach for every type of tile. 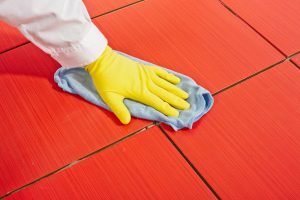 Although we have already mentioned some of the benefits of tile cleaning, in case you are still not sure why this activity is a must, we will discuss some of the benefits that this activity brings. To start with, having dirty tiles and grout definitely looks unattractive. Any visitor in your home will notice this and it certainly doesn’t leave a positive impression. In case the grouting is corroded and grimy and you clean it thoroughly, you will beautify your home. Of course, you should do this for yourself too because a clean home is a healthy and attractive home. While we are talking about health, it is good to mention that the buildups of dirt, dust and other impurities on the tiles can lead to some health issues too. For instance, many people suffering from allergies can experience worsening of their health condition in case the tiles and their home in general are not clean. In addition, some studies suggest that a dirty home makes people feel apathetic, moody and even depressed. (2) So, if you care about your health and the health of your family, tile cleaning is necessary. Furthermore, tile cleaning will also extend the life of the tiles. Did you know that when kool-aid is spilled and left, the grout lines can be damaged over time? The tiles in our homes are exposed to many different substances including chemicals and if they are not cleaned they can cause some serious damages. Finally, this cleaning process lowers risk of injury. Having clean tiles especially tile floors is crucial to general safety. As previously mentioned, tile cleaning is not a simple and easy task. If it is not done in a proper way it can cause more damage to the tiles than good. That’s why you must hire a professional tile cleaning service like Ultra Clean Floor Care. We have the best equipment and product for tile and grout cleaning and our team has knowledge and skills to finish this task smoothly. Ultra Clean Floor Care has the most reliable tile cleaners in Highland Park, Texas.